Can I add a mortgage payment (or a higher mortgage payment) to my existing debt load? Will I be able to make a down payment? Do I have time to devote to buying a home right now? Am I seeking the "pride/dream of homeowners?" Can I afford both the mortgage and other expenses, such as electric, water, repair and maintenance costs? Do I plan to live in the house long enough to build equity? 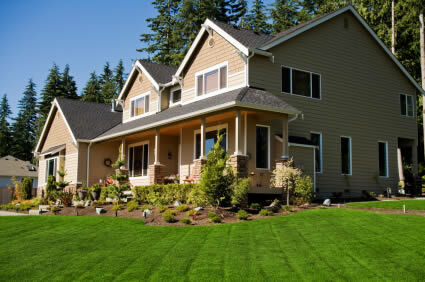 Do I have time to take care of a house - including responsibilities like mowing the lawn and repairing my property each spring? Before you embark on your search for the perfect house, it is important that you make a realistic list in an attempt to narrow your choices of properties. This is something that your Keeler Family REALTOR® can help with. Hunting for a home can be a time consuming process, especially if you have not determined in advance the parameters of your search. Many homebuyers make the mistake of misinterpreting a WANT as a NEED. Carpeting color, paint color, exterior color, roof color, etc. Speak with a mortgage company or broker to determine your existing debt load, including school loans, auto loans, credit card debt. Investigate your loan options and then obtain pre-qualification with a lender. Communicate with your Keeler Family REALTOR® so he/she knows your needs and your timeframe. Ask your Keeler Family REALTOR® about possible buyback programs. For more infomation about purchasing property please seek the experience and knowledge of Keeler Family REALTORS® Contact Us today!